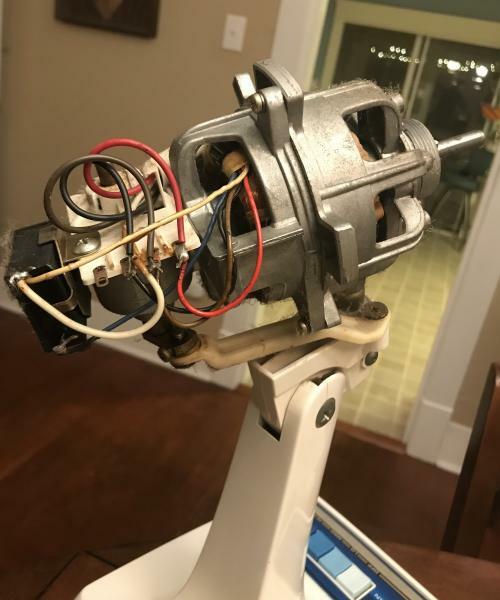 Any information on this fan and maintenance tips are appreciated! When we’re these made? USA fan? 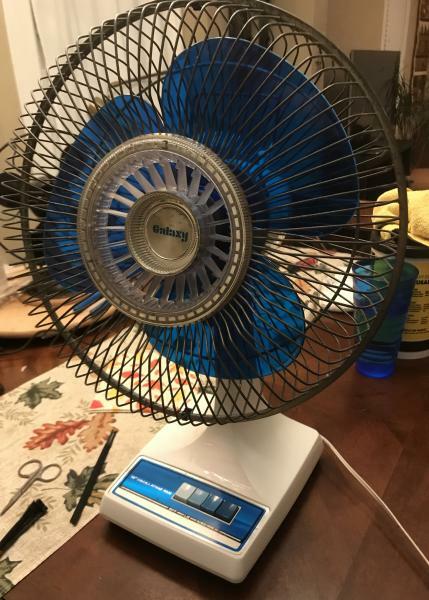 Hello Peter, those fans are Permanently Lubricated so they aren't meant to be oiled, but yes they are American Made they are made by Lasko if I remember right just before they went out of business in the late 1990s.These were the last of decent American Made fans. Your Fan was from the early 1980s. $3 is a steal. You can sort of oil them if you lay it back and fill the bearing cavity with oil. It is the small space where the shaft comes out with the rubber cover over it. I just fill that up with oil and turn the fan on sans blades and let it run. Do the same for the rear but from the oscillating gearbox. It isn't the best way but it's better than nothing. Andrew Block wrote: $3 is a steal. You can sort of oil them if you lay it back and fill the bearing cavity with oil. It is the small space where the shaft comes out with the rubber cover over it. I just fill that up with oil and turn the fan on sans blades and let it run. Do the same for the rear but from the oscillating gearbox. It isn't the best way but it's better than nothing. Thanks Andrew! 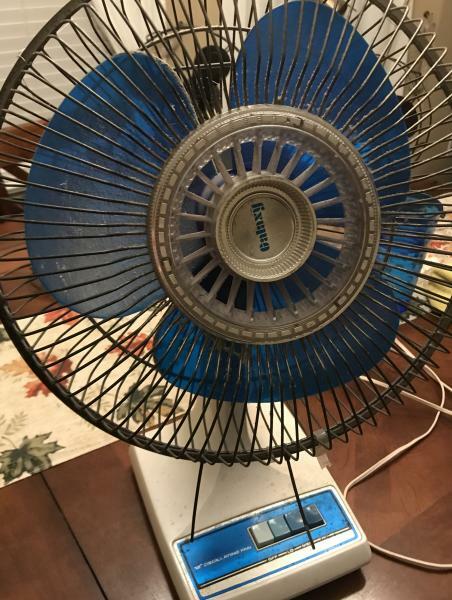 I agree that $3 is a great deal and after going through it, which was very simple, I’m extremely impressed by this fan. Not sure I’m going to grab every one I see, but I won’t be quick to pass on them in the future. I’ll try letting a few drops of oil soak in and see what happens.Cheers! Lasko didn't go out of business, they are still making fans. Mark Allen wrote: Lasko didn't go out of business, they are still making fans. Mark that may be so, but they aren't making them in America anymore, they are made in China now, and they aren't the same quality that they were 30+ years ago when they were still made in America. I have a Galaxy fan just like that one. Mine was purchased new in 1978, it came from an Eckert Drug store. Lasko, the company, still exists in West Chester , PA, only 15 miles from my house. But sadly, their factory now focuses on plumbing, bath and heaters. Definitely give it some oil as Andrew said. The "permanently lubricated" moniker that companies used was a farce, these motors run well when lubricated. Nice find. Be sure and use the right oil for fans 3 n 1 blue label for fractional hp motors or singer sewing oil zoom spout and other non detergent oil . no wd40 or penetrate's. Page processed in 0.1738 seconds (19% database + 81% PHP). 29 queries executed.